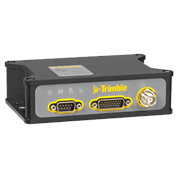 The Trimble BX935-INS is a triple frequency GNSS receiver with the ability to provide continuous, up-to date positioning data. The Trimble BX935-INS is a triple frequency GNSS receiver with the ability to provide continuous, up-to date positioning data. Housing a BD935-INS module in a rugged, environmentally-sealed casing, this unit delivers exceptional performance under even the most extreme weather conditions. The integration of inertial sensors allows for continuous centimeter-level accuracy in nearly any environment. 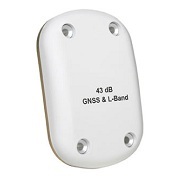 Currently supporting triple frequency for GPS and GLONASS constellations, along with dual frequency from BeiDou and Gallileo, the Trimble BX935-INS is equipped to take advantage of the additional signals as the number of satellites in the constellations grows. This rugged receiver delivers the quickest and most reliable RTK initializations for high accuracy positions in the most challenging environments, including urban canyons. The Trimble BX935-INS is designed to be dependable and easy to integrate. Youll surely take advantage of the easy-to-use software, and convenient Ethernet port for quick and easy data transfer and configuration via a standard web browser. Trimble is known for their world class GPS technology with products sold in used in over 141 countries all over the world. Trimble is able to integrate technologies as wide ranging as optical, laser, and GPS with software and services for todays commercial solutions. 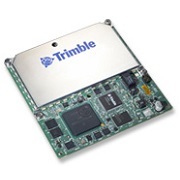 The Trimble BX935-INS Triple Frequency GNSS Receiver is now available through TerrisGPS.